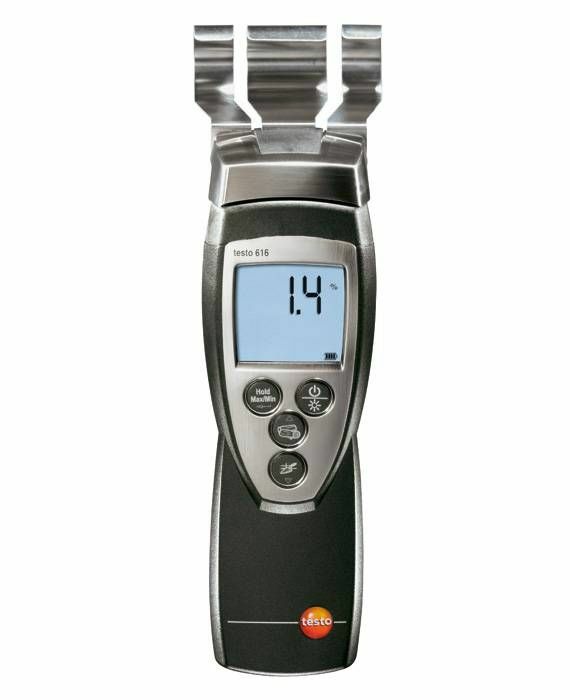 The testo 635-2 temperature and humidity measuring instrument with its leading-edge technology and wide selection of optional sensors helps you in carrying out temperature and material moisture measurements on a variety of different materials, surfaces and environments. 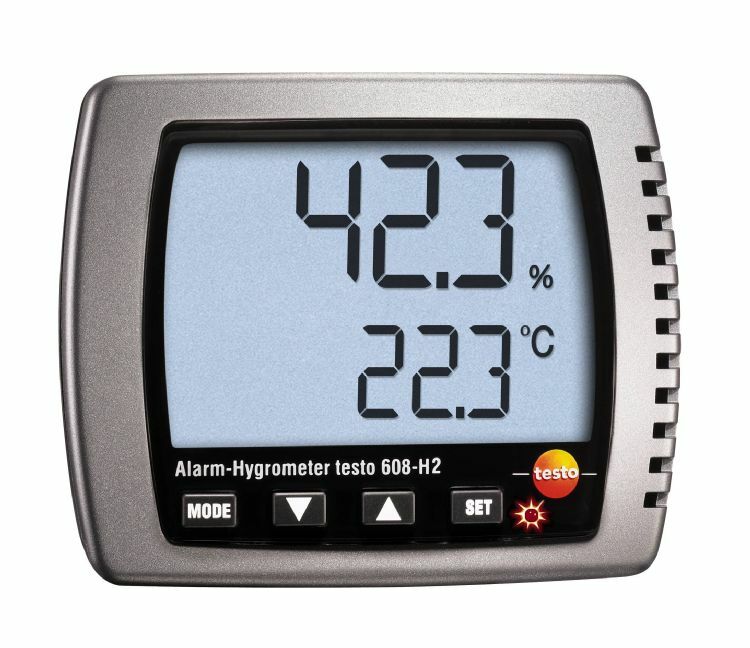 Testo 635-2 is available with two sensor ports for pluggable sensors and up to 3 further temperature or moisture sensors which can be connected to the instrument via wireless along with an easy-to-read display. 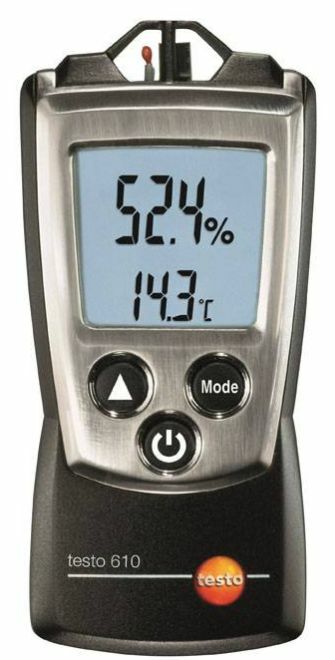 Both the meter and the menu guide are simple and comfortable to use with a backlit display which allows you to read the measurements even in poor lighting conditions. In addition, a strong protective case protects the meter effectively against any accidental knocks and bumps. It also allows you to save measuring sites and allocate the measuring data to the relevant site. Create individual user profiles to perform parallel long-term and material moisture measurements. Save up to 10 000 readings – individual measurements and measurement series – to your meter. The USB cable in the scope of supply can be used to connect your moisture meter to your PC or laptop and the software allows you to log and archive your measuring data comfortably and easily. The optionally available testo fast printer also allows you to print out the measuring data on the spot. 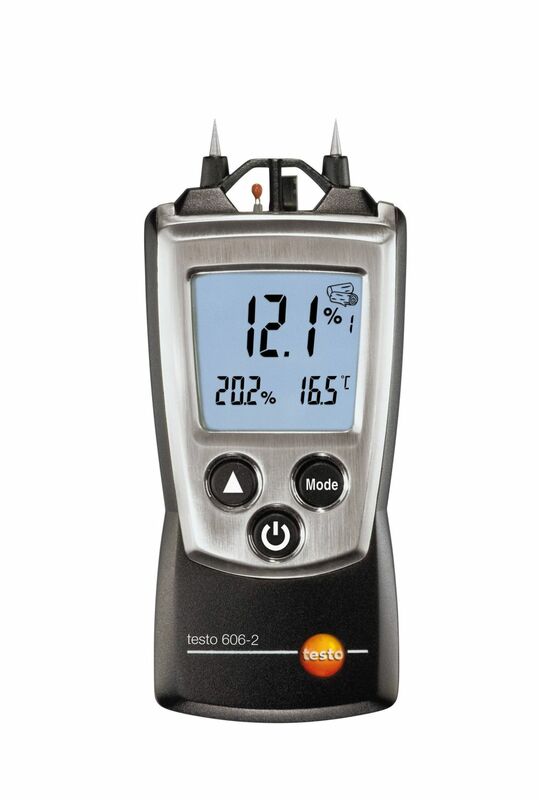 testo 635-2 temperature and moisture meter, PC software, USB data cable, calibration protocol, batteries. PLEASE NOTE: a sensor (not in scope of supply) is required to operate the meter. 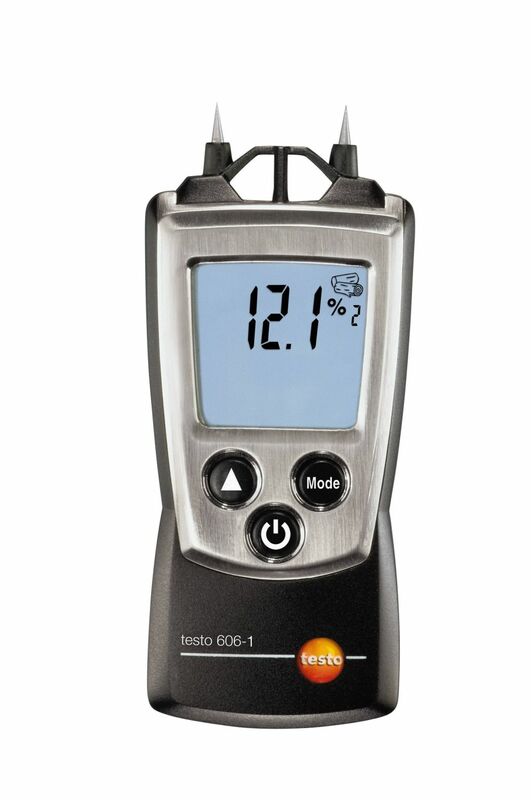 Testo 635-2 is ideal for measuring moisture in ceilings and walls. Using the optional attachment temperature/moisture probe and optional surface temperature probe, the testo 635 automatically calculates the dew point distance. It provides initial information about whether mould is being caused by condensation, or from moisture ingress due to structural damage or faulty insulation. The supplied PC software can be used to document and analyse the measurement data. Monitoring the moisture in construction materials and different timber is an important part of everyday work in the most diverse areas. For many users, measuring the material moisture as quickly and as non-destructively as possible is crucial. 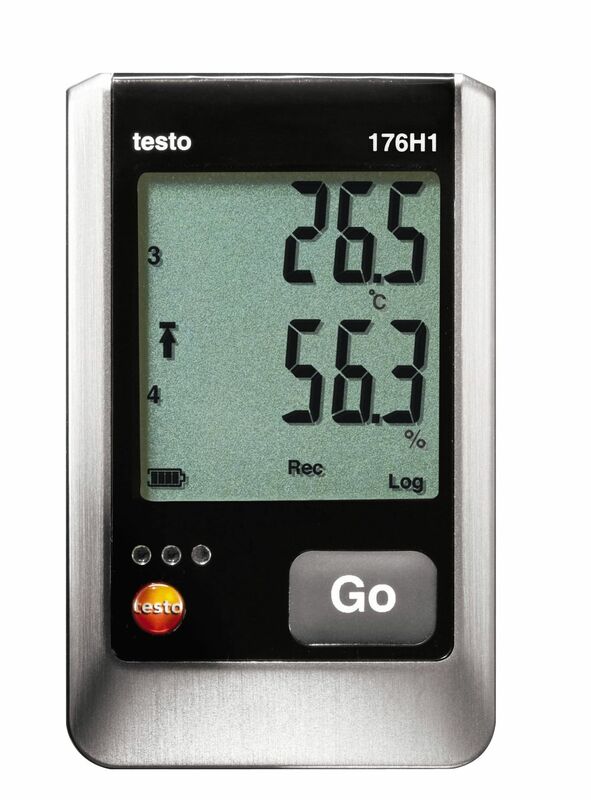 Whether it is used to assess the screed drying process, further processing, or the combustibility of wood, our testo 635-2 hygrometer can be used to examine the moisture content in many different construction materials and types of wood. Whether freshly laid screed, or monitored drying of moisture damage, timely determination of the required moisture level will save time and therefore money. Screeds are laid in the in interior works stage, generally after plastering. The flooring and painting and decorating then follow. The drying behaviour is therefore a significant factor in the works schedule, primarily because the laying of flooring depends on this. The moisture measurement establishes readiness for flooring; liability for the flooring is thus transferred to the respective trade installing the flooring. An important part of this work is therefore documentation and assurance in the testing for readiness for flooring. What is the extent of moisture damage and what consequences can be expected in terms of time and costs? These questions have to be answered in order to decide which auxiliary tools and materials are to be used to speed up the drying process. The t 635-2 and attachment scatter field probe can be used to measure the moisture in the construction material. Using a thin moisture probe combined with the testo 635-2 the moisture of construction materials can be determined by means of an equilibrium moisture measurement. To do this, the probe has to be inserted in a borehole in the material being measured and sealed. The relevant material characteristic can be manually entered into the device or via software. After several hours, equilibrium with the material has taken place and the testo 635-2 displays the material moisture. 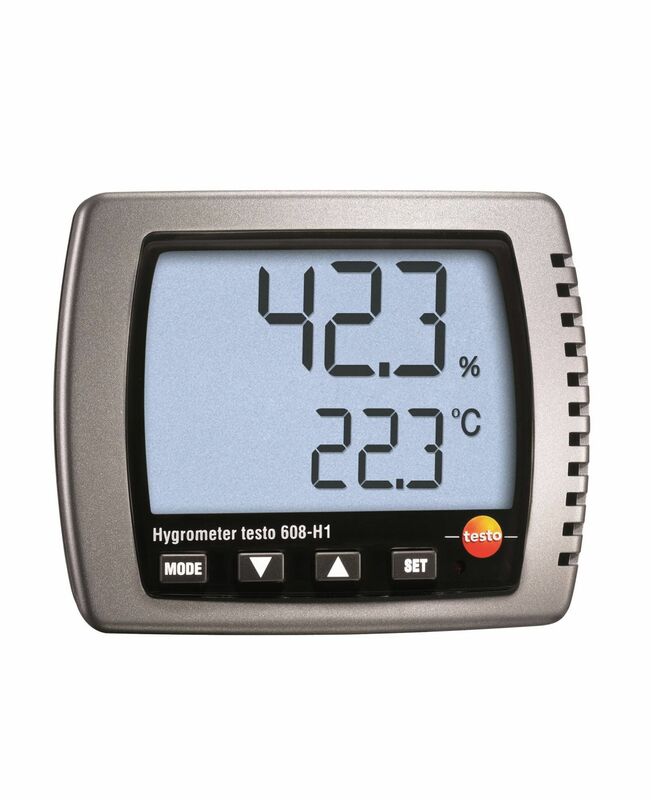 Our temperature/humidity measuring instruments are used around the world in production, storage and server rooms, museums, archives, cold storage warehouses, containers and sales counters. Manufacturers, carriers, or dealers of sensitive products must ensure that specified temperature or humidity values are observed during production and storage. 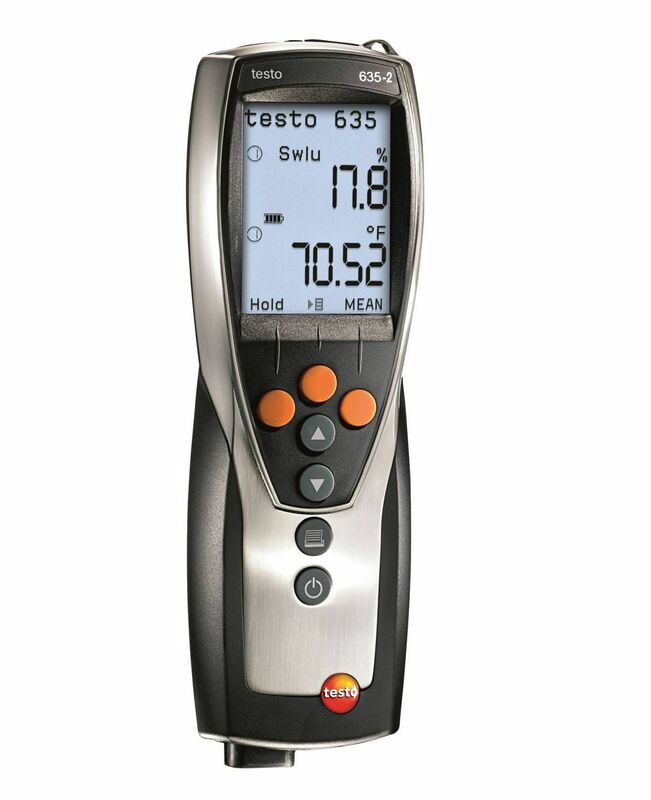 The testo 635 offers the option of performing spot measurements in relevant places. 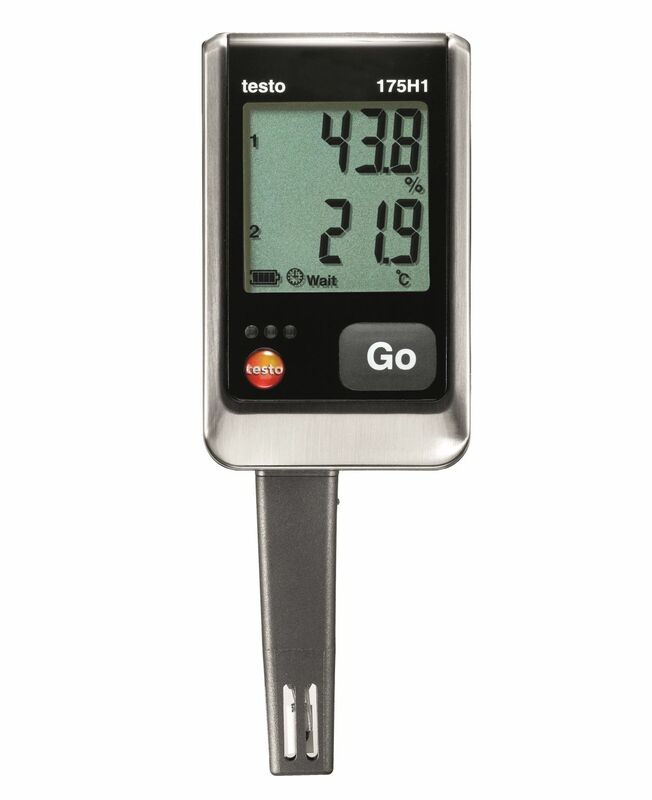 The temperature/humidity measuring instrument testo 635-2 offers the user a wide range of humidity/moisture probes. It provides the option of measuring humidity, material moisture and U-value (for the thermal assessment of structural components). In addition to the standard probes, up to three radio probes can be connected to the device in parallel. Measurement results can be analysed, stored and documented using the supplied PC software. When redeveloping or renovating old buildings, it is crucial to be able to determine quickly if heat is being lost through the windows and walls. Only then can energy costs be reduced and redevelopment measures carried out efficiently. When assessing thermal transmission, e.g. in old buildings in need of renovation, the U-value is one of the most important values. It enables thermal assessment and monitoring of the installed material. A radio probe is needed to determine the U-value; this is placed in position outside. It transmits the readings to the measuring instrument inside. To measure the surface temperature the three wires of the U-value probe are attached to the wall with plasticine. The air temperature is recorded by a sensor located on the probe plug. 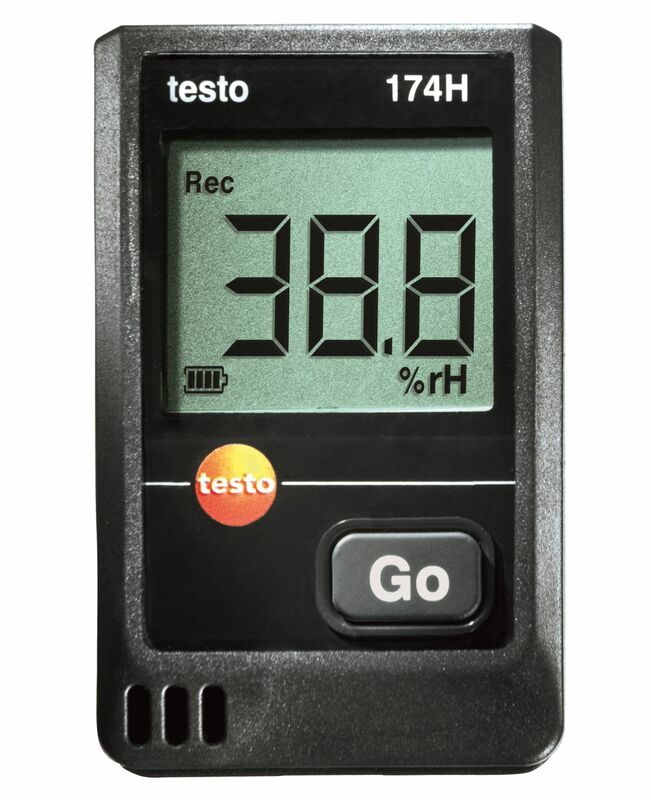 The measuring instrument testo 635-2 automatically calculates the U-value from the three values and shows this on the display. The advantage: there is no need for manual calculation; the result is quick and accurate. 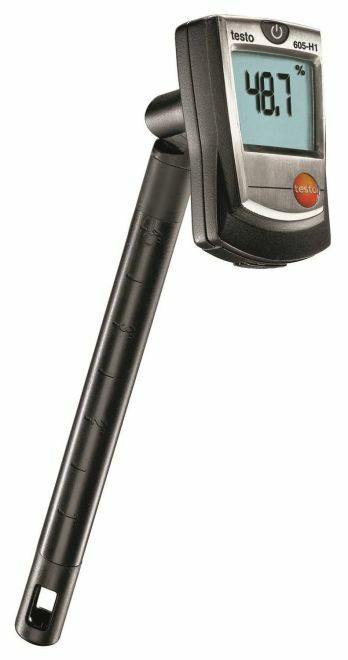 The testo 635-2 uses the optional attachment scatter field probe (item no. : 0636 6160) to quickly and non-destructively examine the material moisture in timber. Characteristic curves are available for measuring wood moisture in soft and hard woods, and chipboard. These characteristic curves were developed in cooperation with the LPI institute. The measurement results are calculated up to a depth of 5 cm and can be recorded at the touch of a button. The readings are displayed in percent by weight in comparison to the dry mass of the material. Measurement data can be stored and documented using PC software.